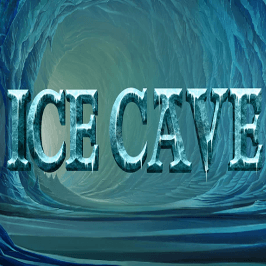 Ice Cave online slot game is an epic slot featuring five reels and 20 paylines. Ice Cave software provider Playtech has taken its inspiration from the hardened Vikings of legend as they explore a giant ice cavern, seeking beasts to slay and treasures to take home. Check out this Ice Cave guide to make sure you don’t get lost in the chill blasts or tundra while spinning the reels. 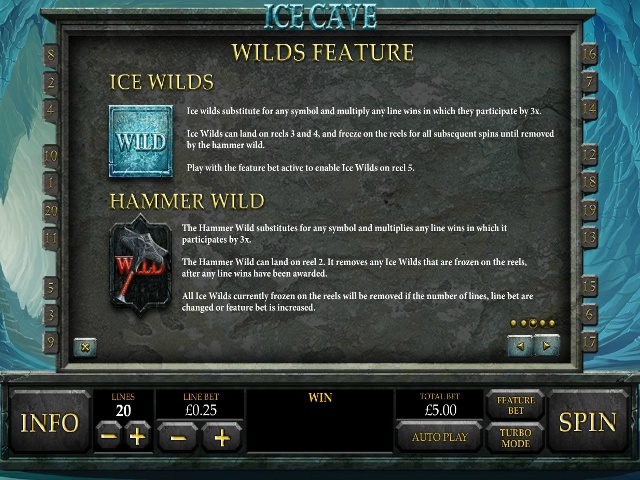 Play Ice Cave for Real Money! Ice Cave’s reels hover in a cave too big to describe, as indicated by the tiny silhouettes of the ardent explorers standing at the bottom left of the reels. 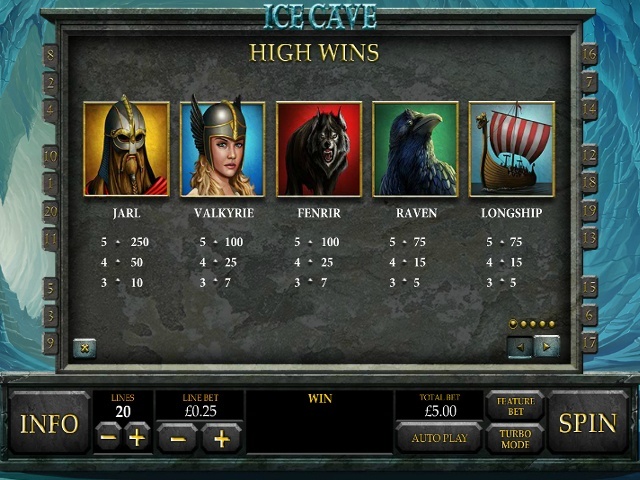 This gargantuan cavern sets the scene as the basis of the game, following the Vikings as they delve deeper into the tunnel of ice of this video slot. Ice Cave casino software designer Playtech has struck on a very cool concept, mixing TV’s Vikings with films like Jules Verne’s Journey To The Centre Of The Earth. Some of the symbols used are genuine Nordic runes, lending the game a level of authenticity. The music is less Frozen singalong and more euphoric and ethereal, capturing the sense of awe in exploring the ice cave. Along with the sheer size of the fissure comes a generous return-to-player (RTP) value of 96.13%. 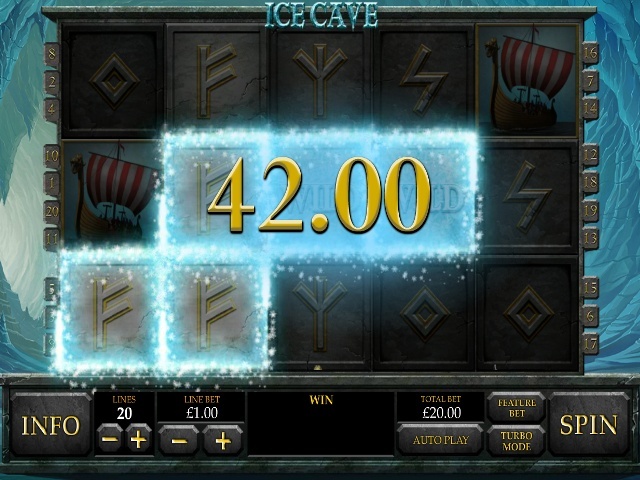 Ice Cave slot game features a number of different runes as its Low Win symbols. There are five in total, each with a different aspiration or meaning – Wealth, Joy, Protection, Victory and Power. The Win symbols are the ones to keep an eye out for, starting with the long ship that carried the Vikings on their voyage, to the Raven that’s possibly Huginn or Muninn, Odin’s feather spies. Another mythological creature, Fenrir the fame-wolf, appears as a symbol. He pays out 100 times the bet, the same as the female warrior Valkyrie. However, players should be on the watch for Jarl, son of the god Rig. In Norse lore, his wife bore him 11 sons, ancestors of all the Viking Warriors. Landing Jarl will also bear you some fruit, as he’s worth 250 times the wager. Just like Thor is the only one worthy to carry Mjolnir, Ice Cave has two unique wild symbols that are worthy of your time. Both can be substituted for any other icon in the game to form winning paylines. The Ice Wild symbol is a sheer block of ice that multiplies winnings threefold. Not only that, but it acts as a sticky wild, remaining on reels three and four until the Hammer Wild shatters it. The Ice Wild can also appear on reel five, but only with the feature bet enabled, which increases your stake by 50%. The second is the Hammer Wild symbol, which rewards the player while robbing them of the sticky wilds. It only appears on the second reel, and like the Ice Wild symbol it multiplies the winnings by three. However, if it lands on the reels, it’ll shatter any Ice Wild frozen on them. That said, both wilds occur very frequently, making a trek to the Ice Cave a fun-filled one. Share this Ice Cave Review today! 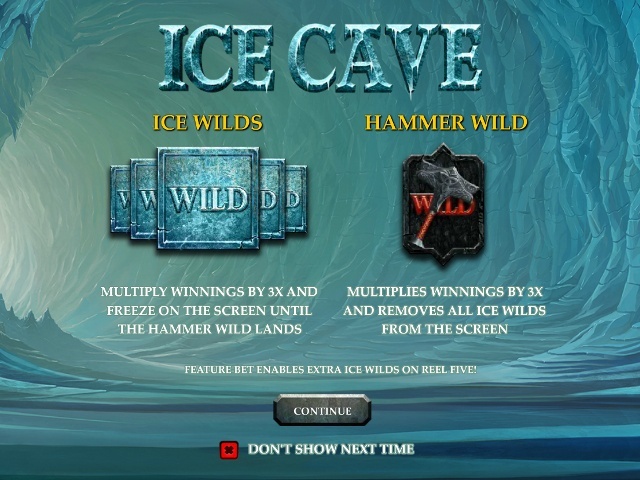 If you like Ice Cave, you'll love these slot titles too!